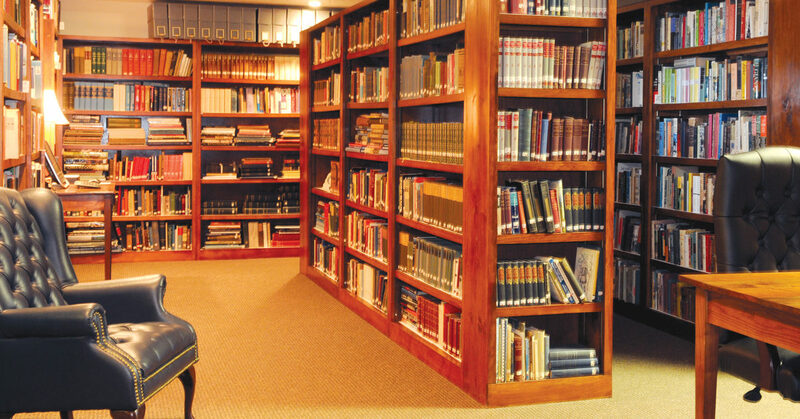 The Foundation’s Hall-Slater Christian History Library contains approximately 12,000 volumes of primary sources relating to predominantly British and American colonial history and literature through the time of the establishment and settlement of the American Constitutional Republic. The purpose:The library was founded by Verna Hall and Rosalie Slater to establish a bulwark against the encroachment of socialism and Marxism that undermined the character of self-government in America in their generation; today this same bulwark is essential on a different front with a new enemy—postmodernism and its child, radical relativism—that is now eroding American liberty. 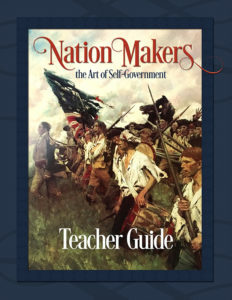 The nature of the collection:over many years of research, each holding was hand-picked to document America’s Christian history; to document the history of the ideas that formed the design of the U.S. Constitution; and to document the role of Biblical principles in the establishment of American liberty. Protecting the integrity of the Foundation’s compilations:The Foundation published many compilations of primary sources documenting America’s Christian history (The Christian History of the Constitution of the United States of America, Volumes I and II; The Christian History of the American Revolution: Consider & Ponder; Teaching & Learning America’s Christian History: The Principle Approach; and George Washington: The Character and Influence of One Man). 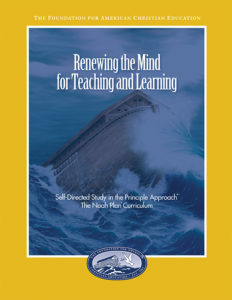 In order to maintain the academic integrity of the compilations, Verna Hall and Rosalie Slater purchased the volume containing the complete source for each quotation or excerpt included in the books published by the Foundation. 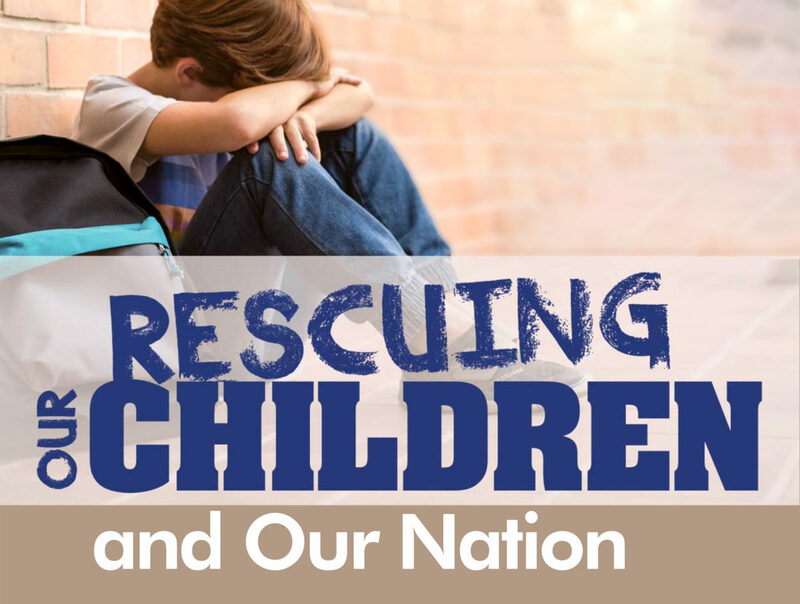 It is a working library intended to provide future generations with the documentation of America’s purpose in God’s providence—with the goal of turning educators towards the noble calling of the American Christian Constitutional Republic. The collection is capable of supporting many more generations of research and fulfillment of the mission. Numerous early modern British and Dutch political texts that influenced America’s founding and represent her background in Protestant Europe. It features works by Hugo Grotius, James Harrington, John Milton, Algernon Sidney, Edmund Burke and many others. Complete sets of legal commentaries and texts by Sir Edward Coke, Sir William Blackstone, Jean-Jacques Burlamaqui, John Locke, Samuel von Pufendorf, Emmerich de Vattel, and Charles de Secondat, Baron de Montesquieu. The rare geographical works of Arnold Guyot. An antique copy of the original manuscript of William Bradford’s “Of Plimoth Plantation” in his own hand, colonial records, early statutes, and histories of the colonies, George Bancroft’s ten-volume series of the History of the United States, as well as many single-volume authoritative narratives. Early Reformation literature and influential theological works; American colonial and Revolutionary era sermons compiled in John Wingate Thornton’s The Pulpit of the American Revolution. 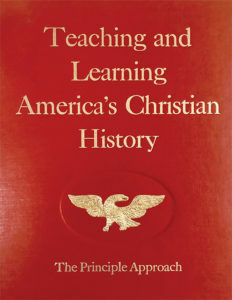 Many ecclesiastical histories, with an emphasis upon European reform movements, Congregationalism and early Puritan Presbyterian and Separatist writings. 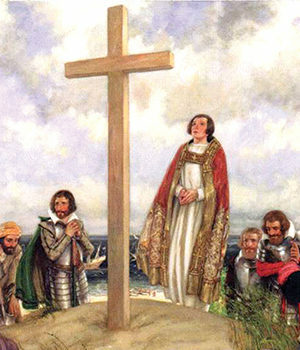 An abundance of English Bible translations, even John Eliot’s famous translation of the Scriptures into the language of the Algonquin people. The papers, writings, works, correspondences, and significant biographies of Samuel Adams, John Adams, James Madison, Thomas Jefferson, George Washington, Alexander Hamilton, John Quincy Adams, and others. Jared Sparks’s twelve volumes of George Washington’s writings. The entire series of The Journals of the Continental Congress (1774–1789), as well as The Letters of Delegates to Congress (1774–1779), Farrand’s Records of the Federal Convention of 1787, The Annals of Congress and other relevant primary source materials surrounding the Constitutional debates, including the state conventions. 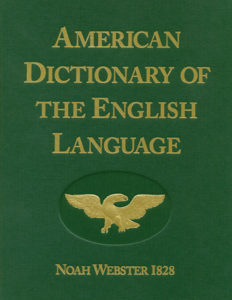 The American Antiquarian Society’s Early American Imprint Series (the Evans and Shaw Shoemaker Collections of American historical sources from 1600–1819) along with numerous early American leaflets, newspapers and other memorabilia either in microprint or manuscript form. A collection of approximately 4,000 volumes representing the 1400 years of English literature selected for their value in tracing the nobler stream of liberty through England’s relinquishment of her Christian heritage. A collection of approximately 4,000 volumes representing 400 years of American literature reflecting the planting of the seed of the American Christian Republic through the last century of America’s falling away from her Christian founding and character in literature. Many versions and translations of the Bible and 17th, 18th and 19th century Bible commentaries of Ellicott, Henry and others; Bible atlases, dictionaries, encyclopedias, concordances, maps and other study tools. A collection of education volumes documenting both the origins of Biblical classical education in the founding era and the defeat of the American educational philosophy, method and practice by progressive educators from 1850 onward. A collection of art history books that reflect the story of art on the Chain of Christianity®, the role of art in the American Republic, and by contrast, the reflection in art of the decline of American culture. A collection of teacher resources that were housed in Rosalie Slater’s curriculum lab that range through all the subjects of the curriculum as well as architecture, music and colonial arts and crafts, and includes many rare and out-of-print volumes. Verna Hall’s unpublished compilations from her later years including the planned three volumes entitled Biblical Foundations of the U.S. Constitution, and compilations for The Character and Influence of One Man series on Benjamin Franklin, Samuel Adams and further compilations on George Washington. Collected artwork, illustration, portraits and prints used in publications over 42 years. Rosalie Slater’s collections of her personal research, studies of Colonial Christian Character and vast research on the life of Noah Webster. Records of the correspondence, journals and research of Verna Hall and Rosalie Slater from 1965 onward. Manuscripts (many unpublished) written by hand and in various archaic publishing forms. The Hall-Slater Christian History Library and Teaching Center is now re-established in its new home in Chesapeake, Virginia. We will conduct a thorough collection assessment, database the Library’s holdings and employ a convenient classification scheme to make all the sources available to scholars and students alike in a non-circulating manner. The Foundation’s purpose for organizing and housing this library is to promote serious primary-source study of America’s early colonial and constitutional history to safeguard the republican foundations of our religious and civil liberty. The library serves as a fortress of truth guarding America from the assault of postmodernism and anti-Americanism that has spawned the hedonism and vagrant character of the present age. You can be a part of this valuable repository of rare books and resources by becoming a financial partner in helping maintain the collection so it will be available in this critical time in America’s history. Click here to give. Thank you.